Modern trade in the 4 key cities of Urban Vietnam has grown slower than many previously forecasted, with an increase of just 6 points share since 2005, reaching only around 18% to date. If we compare this development with neighbouring countries, it is surprising that modern trade in Vietnam is not more developed. So why is it not yet growing at the level we might expect in a country like Vietnam and which format will deliver future growth? There are key elements which are barriers to the development of modern trade in Vietnam: firstly, property prices which, especially in urban Vietnam, are high and push hypermarkets and supermarkets to the peripheral areas of the cities. Secondly, Vietnamese consumers drive motorbikes to these stores and do not have the capacity to carry many items per trip. Last, but not least, Vietnamese shopping habits are still very traditional. Consumers prefer to buy smaller baskets, more often, and so are still attached to the traditional shops and wet market. But they also use hypermarkets and supermarkets in a similar way, which means going there quite often but buying very little. Outside of these factors limiting the growth of hypermarkets and supermarkets, we have to take into account some contextual elements which also had a negative impact on the growth of this channel: if Vietnam’s economy seems to be showing some signs of recovery, it has to be noted that Vietnam experienced a slow-down in the last few years, due to both domestic factors and external factors such as the global economic downturn. When consumers feel the financial stretch they are naturally more careful in what and how they buy. This means going back to a more traditional way of shopping, visiting the shops in their street that they trust, and where they will probably be less tempted to buy things not on their shopping list: buying only what they need, when they need it. 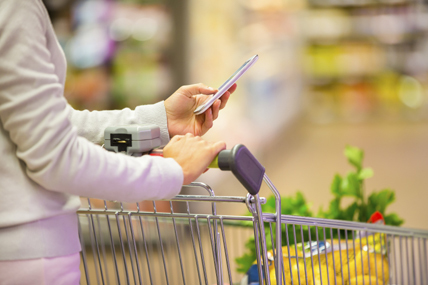 With such behaviour it is understandable why traditional trade has retained its popularity, and why hypermarket and supermarket formats have struggled to develop. 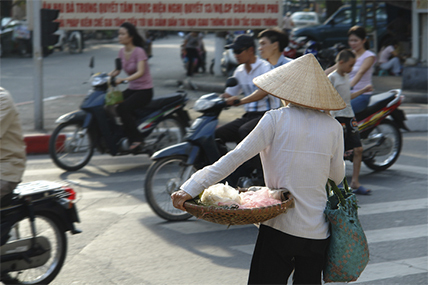 So what is the future of modern trade in Vietnam? Will this country stay forever a “traditional trade” market or are mini-stores the solution of modern trade development? Collectively, mini-stores – which are comprised of mini-markets and convenience stores (CVS) have shown impressive growth in recent years. 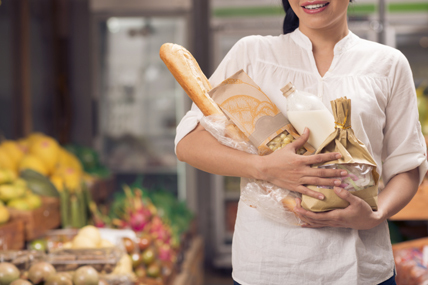 According to Kantar Worldpanel, more than a third of Vietnamese households made a take-home FMCG purchase in a mini-store in the latest year, shopping on average 10 times per year. The value share of mini-stores for take-home FMCG purchases is now 2.7%. There is no doubt that it will continue to grow in the future. The big question for marketers and FMCG players is how big will this channel become and how much focus should be placed on it? Urbanisation continues in Vietnam. Forecasts predict the country could be evenly balanced between Urban and Rural by the year 2040. This brings increased purchasing power and aspirations of its people, and there has been a boom in mini-store openings looking to satisfy this increased demand. Nowadays, every new apartment or office block is built with purpose made commercial units on the ground floor to accommodate the likes of Zakka Mart and other chains. Vinmart+ expects to have over 1,000 stores by 2017, while B's Mart and Family Mart are also planning significant store expansion. With the mini-store giant, 7-Eleven, also sniffing around Vietnam as a potential next country, consumers could soon expect to see a store on every street. As a consequence, since 2010 Vietnam has witnessed a rapid and steady increase in the number of mini-market and CVS stores. This has been the main driver of growth for modern trade in Vietnam. But do these stores fit the Vietnamese way of shopping? Are they the future of modern trade in Vietnam? Are they going to play a key role in the FMCG distribution? Or are they only growing today because they grow in numbers? These stores do have attractive benefits to consumers: they represent modernity in every way, are open 24/7, offer a cool air-conditioned environment and are a perfect place for millennials to hang out with friends, to study or work. If they become social places, with free WIFI and phone charging, and an offering of cheap ready to eat snacks, they could reach a point where they compete directly with fast food chains and coffee shops. But are they really becoming the next key player in the FMCG distribution or just another alternative place for millennials to hang out? Mini-stores are, undoubtedly, an answer for the top-up shopping mission, when consumers want to buy the Instant Noodles or Liquid Milk which just ran out at home. They are also places where youngsters will want to mingle. However, these stores have challenges to overcome and will need to find other sources of growth if they want to become an integral part of the FMCG game. Currently seven out of every ten households in Urban Vietnam still believe that mini-stores are more expensive than traditional trade and this perception is not likely to change soon. On top of this, 41% of shoppers say that they cannot find everything they need in mini-stores right now. So there remains an issue around the range offered by mini-stores compared to supermarket formats and this will hold back their growth. 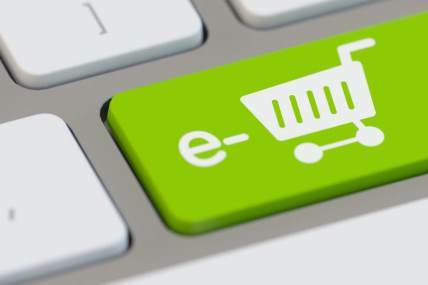 This channel can easily fulfil immediate or near term consumption needs and top up shopping, however it is very limited its appeal to being able to deliver a big shopping trip – currently only around 1 in 10 shopping occasions feature more than 4 different product types in this channel. It has been suggested that these stores reflect consumers’ growing need for convenience in everything they do. And this is (partially) true. Globally, convenience channels are posting growth of 6% year on year. This trend is magnified in Vietnam where convenience and proximity reign supreme as shoppers look to save time in their busy lives. Today the need for convenience has never been greater. For Vietnamese shoppers, “It’s near my home or on my way back home” is now the second most important factor when choosing a store to shop in – with 78% of shoppers saying so, a significant increase (up 4 places) since 2012. “I save a lot of time shopping there” also ranks third, gaining 2 spots. Shoppers rank these factors over the quality of products, the friendliness of staff and the promotions on offer. This provides strong evidence for why mini-stores have gained popularity over larger format modern trade, which usually have inconvenient parking lots with long queues and customers have to pay to use. However, the differentiation of convenience is less clear when compared to the traditional trade and is perhaps one reason why the growth of mini-stores could slow in the near future. It should also be remembered that over 96% of Vietnamese households own a moto and use them to go almost everywhere. Whilst mini-stores, like traditional trade stores, exist on all streets in the city and are therefore equally reachable, there is still a question about how truly convenient mini-store trips are. This is because there is a much longer transaction time. If driving to the store, shoppers must find a spot to park on the street (if there is any space! ), then go inside to look for what is needed. Compare this to a traditional trade trip where a shopper can stop outside on the bike, call the shop owner to get the desired items and have them brought directly to them. Remember also that in many cases people have been shopping in their usual street shops for a very long time. Consumers have built trust with their local shop owners, whose advice they often take, and in many cases shoppers will come back to pay for their goods at a later time or even a later day – something which no modern trade format would ever allow. It seems that mini-stores still have to find their right positioning in the market and if they are to avoid losing ground in the FMCG game they should reinvent their offering. In addition to having a higher price point for most consumer goods, mini-stores they face competition from all angles: a strong competition from hypermarkets on the shopping experience, a strong competition from supermarkets on choice and a strong competition with Traditional shops on convenience. Mini-stores have a role to play, but they are certainly not expected to taking the lead in the development of modern trade in Vietnam unless they clarify their position and overcome the current challenges.